Tile roofs have been used for hundreds of years and many tile roofs have survived for hundreds of years. Aside from their durability and longevity, tile roofs are among the most attractive, giving each home a rustic, timeless look. Consult Pacific Green Homes if you are interested in tile roofing in Los Angeles. Continue reading to find out why tile could be the perfect choice for your roofing renovation. There are a variety of different kinds of tile roofs to choose from, they all have similar attributes but are different in various ways. Clay Tiles – The wavy design of clay tiles is immediately recognizable. This type of tile has been around for centuries, as the name suggests, it is made by baking molded clay extracted from the earth. It is a classic material because of its long-standing durability and overall attractiveness. It is also resistant to extreme weather, especially high winds. Concrete Tiles – This type of tile—and concrete in general—is made from a mixture of sand, water, and cement. As you would expect, concrete tiles are very strong and safe. They can be made to look like other roofing materials such as clay, wood shake, slate, and more. This gives them more visual versatility than the other types of tile roofing. Slate Tiles – Often considered one of the best roof types, slate roofs are a staple in Europe and began to gain popularity in America during the 19th century. They have remained popular ever since because of their stately beauty, their durability, and their longevity—a slate roof can last for over 100 years with little maintenance. All types of tile roofs are resistant to extreme weather conditions, particularly hail and high winds. Clay and slate tiles can last for up to one hundred years, while concrete tiles last about half as long, which is still longer than most other roofing materials. Tile roofs are also fireproof, are unaffected by insects, and will never rot or decay. They are also unaffected by extreme temperature variances and will not corrode when exposed to salty seaside air, which makes them a good choice for any climate. Tile roofs are distinct and eye-catching despite the fact that they do not come in a wide variety of styles and colors. The red and orange shades of clay tiles and the deep earth tones of slate tiles are highly distinctive. They lend any home a classically rustic appearance. Concrete tiles are not as long-established as clay or slate tiles, but they can still be quite striking because of their ability to mimic the look of other roofing materials. Very little upkeep is required for slate and clay tiles, they rarely leak and they do not usually need renovating or refurbishing. The only time they may need repairing is if a heavy object falls onto them. Concrete tiles are also very low maintenance, but their higher water absorption rate means that mildew or stains can form on them. Clay and slate tiles are unaffected by this issue, but concrete tiles are still very easy to maintain. Tile roofs can help to reduce energy use because their high thermal mass helps to regulate the interior temperature of the home. This can help to save on heating and cooling bills over time. Clay and slate both have a minimal environmental impact when it comes to sourcing, extraction, and manufacture. Additionally, they are all sustainable since they can be easily recycled. The manufacture of concrete requires a lot of energy, but it can also be recycled, which helps to minimize its environmental impact. Tile roofs are among the most expensive roofing options available, they can cost up to two or three times as much as other roof types. The high cost is offset by how long they last, since it is highly unlikely that they will ever need replacing, or even repairing. Tile is by far the heaviest type of roofing material. If it is being installed on an existing house, then the house needs to be reinforced so that it can support the weight. Some houses are incapable of such reinforcement, which means that tile is the only roofing type that cannot be installed on any type of house. Installing tile roofs is more difficult than other roofing materials and requires the use of contractors with experience. The same is true if the tiles ever need to be repaired. They can withstand extreme weather, but they can crack or break if they suffer a heavy impact or if they get stepped on carelessly. If it is necessary for someone to walk on a tile roof, they must do so very carefully. Tile roofs are one of the best roofing options because of their longevity, durability, and classical style. They can be expensive, but their cost is offset by the fact that they might be the only roof your home will ever need. 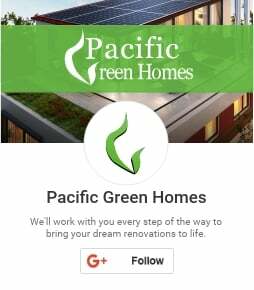 If you are interested in tile roofing and want to know if your home can support that option, then call Pacific Green Homes and we will help you assess all the options available to you.